In DGS our science classes (Biology, Chemistry & Physics) are mixed ability. The science department is convinced that differentiation is key to meeting the needs of all pupils in a mixed ability classroom. We understand that if differentiation is to be a success in the classroom, it is essential to take account of the characteristics of the learners involved – their preferred modes of working and learning and thus it is our responsibility to create lesson plans that will meet the needs of each individual pupil in our laboratory. 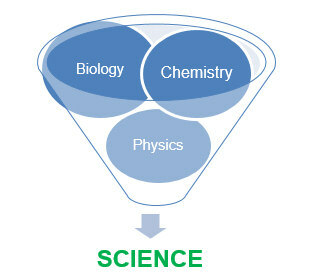 All students in 1st year and 2nd year Junior Science concentrate on higher level science thus covering all aspects of each chapter – however those who feel the higher level is too difficult to continue with in the junior cert year can then focus on the ordinary level elements of the course, this decision is made in consultation with Teachers, Parents/Guardians and the Career Guidance teacher. The above also applies to senior Biology, Chemistry and Physics. Higher and ordinary levels are covered in both form 5 and form 6. Students are interviewed by the Guidance Counsellor while in Transition year regarding subject choice. To date there has been no restriction to Chemistry i.e. all students have access. Data projector – used for showing science DVDs, videos and PowerPoint notes & diagrams from the computer. There is a storeroom for chemicals and a preparation area. There is also a domestic dishwasher, freezer and fridge. In the science laboratory the computer is used as much as possible by each teacher to assist in the teaching of science to pupils. We frequently use the computer to show prepared power-point presentations and diagrams by connecting the computer to our data projector. We also use the computer to play science DVD’s again connecting it to the data projector. Fourth year science is taught on a modular basis and each pupil is expected to spend a certain amount of time collecting relevant scientific data from the internet for a particular science project that will be displayed on TY night – to assist with this pupils avail of our computer lab containing 19 computers – this lab is also open to pupils after school hours. Silver medallist in the Senior International Science Olympiad (Sweden). Gold medal (first place) in the Senior Irish Olympiad (Biology). Gold medal in Junior Irish Science Olympiad, and represented Ireland in Korea. JOSHUA JOYCE (2009) : ‘Highly Commended’ in BT Young Scientist Competition for Ecology project. LISA MURPHY (2005): First Prize Young Scientist Intermediate Social & Scientific category (A study of the progression of Alzheimer’s disease). LISA MURPHY (2005): First Prize in Chemistry essay competition (“Foods for Thought”), sponsored by Institute of Chemistry, Royal Society of Chemistry, the Society of Chemical Industry, the Irish Times, and AGB Scientific Ltd.
CATRIONA KELLY (2005): Gold medal in Junior Irish Science Olympiad. CATRIONA KELLY (2005) : Bronze medal in International Science Olympiad (Indonesia). Provide a balanced understanding of the physical, biological and chemical dimensions of science, thus facilitating the further study of science in the senior cycle. Develop a sense of enjoyment in the learning of science. Students at both Higher and Ordinary Level Science sit one exam paper at Junior Cert level. This written exam is worth 65% of the grade. Both the Higher and Ordinary Level paper lasts 2 hours. Each paper is equally divided into 3 sections – Biology, Chemistry and Physics. Coursework A and B make up the remaining 35% of the Junior Cert Science grade. The new Junior Cycle Science is due to commence in September 2015. What are the Aims of the new Junior Cycle Science? To develop a sense of enjoyment in the learning of science, leading to a lifelong interest in science. To develop scientific literacy and apply this in cognitive and affective dimensions to the analysis of science issues relevant to society, the environment and sustainability. To develop a scientific habit of mind and inquiry orientation through class, laboratory and/or off-site activities that foster investigation, imagination, curiosity and creativity in solving engaging, relevant problems, and to improve their reasoning and decision-making abilities. To develop the key skills of junior cycle, including literacy and numeracy skills: to find, use, manage, synthesise, evaluate and communicate scientific understanding and findings using a variety of media; and to justify ideas on the basis of actual evidence. To acquire a body of scientific knowledge; to develop an understanding of Earth and space and their place in the physical, biological, and material world and to help establish a foundation for more advanced learning. What to expect in the new course? 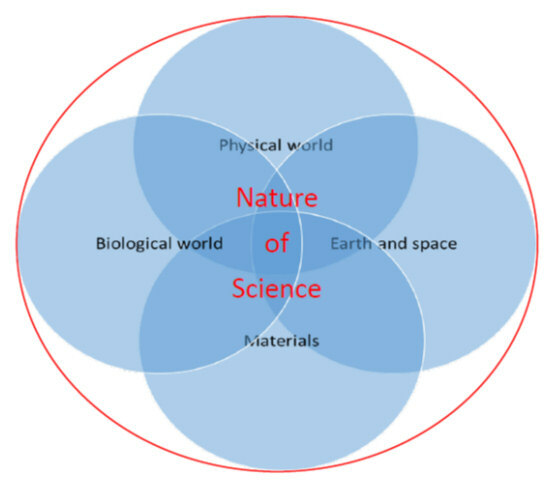 The specification for junior cycle science focuses on the development of students’ knowledge of and about science through the unifying strand, Nature of science, and the four contextual strands: Physical world, Materials, Biological world, and Earth and space. It has been designed for a minimum of 200 hours of engagement across the three years of junior cycle. This is the unifying strand; it permeates all the strands of the specification. The elements of this strand place a focus on how science works; carrying out investigations; communicating in science; and developing an appreciation of the role and contribution of science to society. This strand involves the study of matter and the changes it undergoes. As students study this strand they will develop understandings of the composition and properties of matter, the changes it undergoes, and the energy involved. This strand provides an ideal setting for students to develop a sense of the structure of the Universe and some organising principles of astronomy, students explore relationships between many kinds of astronomical objects and evidence for the history of the universe. This involves the exploration of physical observables, often in relation to motion, energy, and electricity. Students gain an understanding of fundamental concepts such as length, time, mass and temperature through appropriate experiments. This strand leads students to an understanding of living things and how they interact with each other and the environment. In this strand students develop an understanding of the diversity of life, life processes and how life has evolved. a glossary of assessment and moderation terms. The contents of the toolkit will be essential to ensure the correct teaching of the new Science course. It will include the range of assessment supports, advice and guidelines that will enable teachers to engage with the new assessment system in an informed and confident way. Consultation in relation to the assessment of the new Junior Science course for certification arrangements was deferred. Science in Transition year is not part of the Leaving Cert course. We use TY to try and reinforce pre-existing scientific knowledge while also enabling students to bridge any gaps which may exist from the Junior Cycle and ensure they have a thorough understanding of the basic requirements for any of the Leaving Cert Science courses. Our aim in TY is to try and make Science fun! Mr Hancock implements the World of science module. This module looks at human biology, environmental studies and ecology. It focuses mainly on infectious disease, drug awareness, the hedgerow habitat and urgent environmental problems such as acid rain and global warming. Ms Shevlin implements a Food Science module. The aim of the Food Science module is to instil in pupils an appreciation for a healthy balanced diet, while attaining a strong understanding of the many negative aspects that accompany an unhealthy diet. This module focuses on the importance of a healthy diet and the effects an unhealthy diet can have on the vital organs of the body. It focuses on eating disorders, experiments centred primarily round testing pupils BMI, heart rate, fitness level and it also looks at the effects media can have on the minds of our teenagers today. Ms O’Hagan implements a Physics module in TY. This module focuses mainly on heat, temperature, heat capacity and specific heat capacity. There is also an emphasis on the calculations and experiments related to specific heat capacity, methods of heat transfer and the thermal insulating properties of materials. develop in students an ability to make informed evaluations about contemporary biological issues. Both the Higher and the Ordinary Level students sit only 1 paper which lasts 3 hours. Both the Higher and Ordinary Level papers are divided into 3 sections. Provide relevant course for students. Encourage appreciation of scientific, social, economic, environmental, technological, historical aspects. Illustrate how humanity has benefited. Develop laboratory skills, including safety. Develop skills of observation, analysis, evaluation, communication and problem solving. · ChemistryLive workbook · Hardback science lab notebook. · Chemistry Live workbook · Hardback science lab notebook. Both the Higher and Ordinary level pupils sit only 1 paper which lasts 3 hours. Both papers are divided into 2 sections. Section A – 3 questions based on mandatory experiments. Section B – 9 long questions based on theory & experiments. Develop an appreciation of physics as a human endeavour, thus enriching the students’ experience of life. Develop an understanding of the physical environment and of how human beings interact with it. · Hardback science lab notebook. Section A – This section is made up of 4 experimental questions. Pupils are to answer 3 Q’s. Section B – 8 long questions based on theory & experiments. Teaching observed was good and in some instances very good. Where practical activities were observed, students displayed good attention to Health and Safety procedures. Students engaged well with the classroom activities and when questioned by the inspector, showed good understanding of concepts and facts taught. Good use of the scientific method and investigative approach was observed. Teachers of Science and Biology are appropriately qualified and have attended a good range of continuing professional development (CPD) activities. All recommendations from a previous subject inspection in Science and Biology (2006) have been acted upon. All of the above and more may be found on the Department of Education’s website.